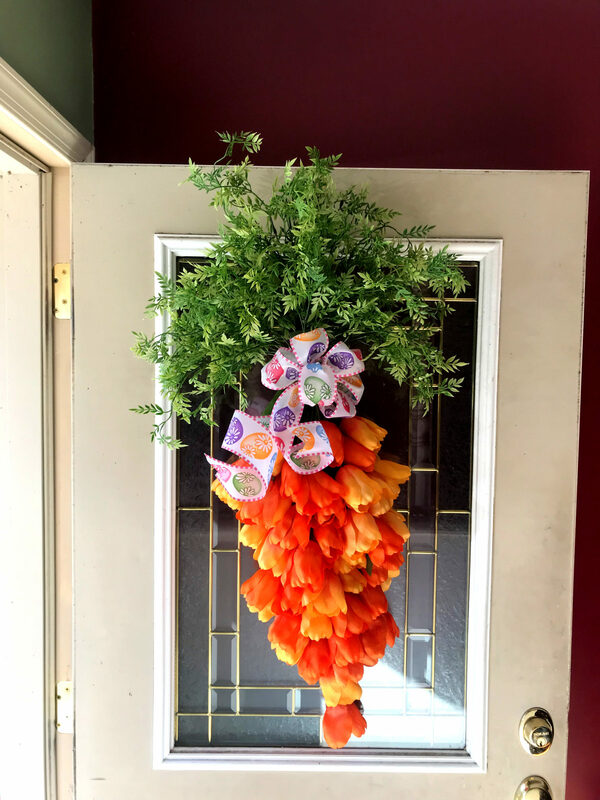 I’m obsessed with this darling carrot “wreath!” What a cute way to celebrate Easter by hanging a huge carrot on your front door. 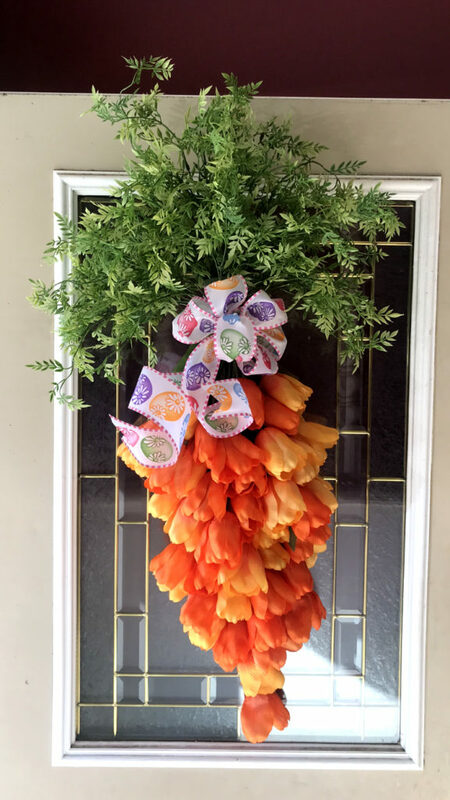 I hope this will inspire you to try this project. It really is easy. 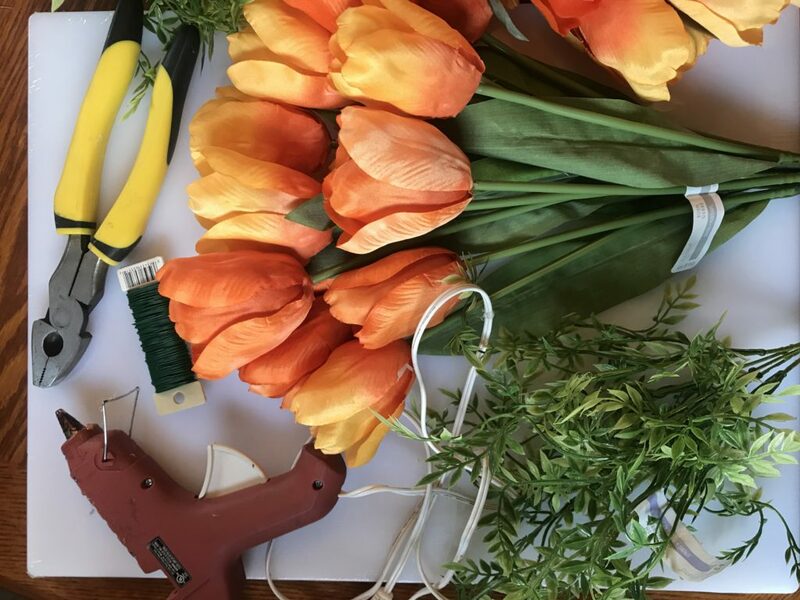 supplies: 4 tulip bushes, 5 greenery bushes, ribbon or burlap for a bow, string or floral wire, wire cutters and a hot glue gun.